Reference books for collectibles, including Animals, Baskets, Beanies, Beswick, Boyds, Disney, Hallmark, Holidays, Josef, Movies, Music, Musical Instruments, Political Memorabilia, Precious Moments, Royal Doulton, Souvenir Spoons, Wade, and more. Collector Bookstore is a retailer of new books located in Leavenworth, Kansas. 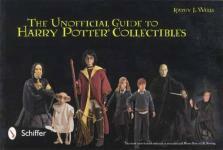 We specialize in price guides and reference books for the antiques and collectibles industry. Updated 6th edition with new sites & museums! Whether you're digging for the first time or are an experienced rockhound or "prospector," with a simple rock hammer and a little luck, you too can strike it rich ... or at the very least, have fun trying. This guide offers you easy-to-use information on the ins and outs of "fee dig" mining, complete with locations, costs, tips on technique, entertaining legends and important information on everything from safety kits to the location of the nearest restrooms. Included are resources for use in identifying your finds, exploring the lapidary arts, and further pursuing an exciting--and possibly profitable--hobby. Equipment and Clothing: What you need and where to find it (or how to make it yourself). Mining Techniques: Step-by-step instructions on panning for gold, sluicing for gems and other methods. Gem and Mineral Sites: Directions and maps, hours, fees and equipment needed. Also includes info on guide services, local camping facilities and more. Museums and Mine Tours: Where to visit commercial and historical mines, as well as museums with exhibits of gems and minerals (for help in learning what to look for). Special Events and Tourist Information: Listings of regional events involving gems and minerals, and sources of general travel and tourism information for every state. 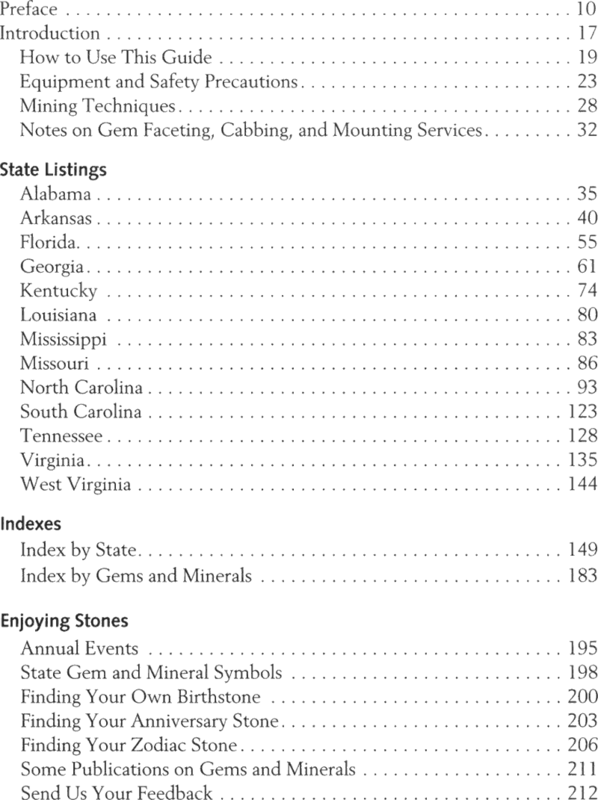 Other Features: Where to find your birthstone, your anniversary stone or your zodiac stone; Index by State; Index by Gem/Mineral; U.S. State Gems & Minerals Chart; and more!